Notes: Local in woodland rides, fens and scrubland across much of southern England. In Hampshire still reasonably common along the M3 corridor from Chandler's Ford to Basingstoke, but rare elsewhere in the county and on the Isle of Wight. Wingspan 17-21 mm. 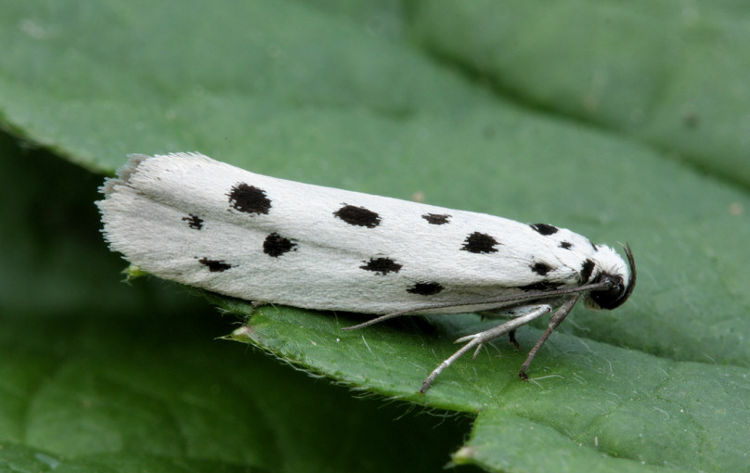 The pattern of large spots on a pure white ground precludes confusion with other Ethmia species and the superficially similar Yponomeuta, as well as the much larger Thistle Ermine Myelois circumvoluta. 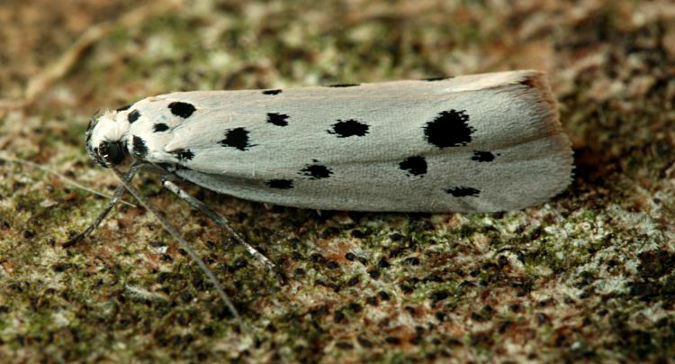 Larva feeds on Common Gromwell, living within a silken web, and over-wintering as a pupa.